Keith Anderson ranches near the site of the proposed Powertech Uranium mine, seen here, north of Edgemont and is a supporter of the project. People who live in and around Edgemont are largely in favor of the project. Christina Heisler, waitress at the Hat Creek Grill on Main Street in Edgemont said she has mixed feelings about the uranium project. She is afraid the mine may create a boom and bust situation for the town. A sign in the support of the proposed uranium mine is placed on the side of the road in Edgemont. A similar sign in placed in the window of the town's grocery store. EDGEMONT | Beryl Eberle ticks off the boom times threaded through Edgemont's 120-year history: a cattle town for large ranchers; a bustling railroad stop; a weapon's depot; and a hub for uranium strip mining. But the larger ranchers are gone. The chemical weapons and WWII prisoners held by the depot are in the pages of history. And the old downtown mill that processed uranium taken from strip mines has long been idled. "We've had some up and downs, but right now we're kind of at a lull," Eberle said as she stood near the museum's sketch of the old uranium mill. "There's not much industry." Without something new to bring jobs and life to the community, she said, "we're back to depending on the smaller ranches and the railroad." Eberle, who manages the local Trails, Trains and Pioneers museum, has been around long enough to watch Edgemont's fortune ebb. The town's population has dwindled to about 750 people, half of what it had in its peak in 1980. And shuttered storefronts stand out here and there along its main drag. That is why Eberle — like many in this region just south of the Black Hills — hopes Powertech Uranium's proposed Dewey-Burdock in situ uranium mining project will gain state and federal approval, and signal a new beginning for Edgemont. "This uranium mining up here will add jobs and bring an economy to the city," she said. The proposed Dewey-Burdock mine sits about 15 miles northwest of Edgemont. If approved, the mine will bring a variety of jobs across its expected 14 years of construction, according to an economic report by Powertech. In the project's second year — its projected peak for employment — the mine could employ about 160 people. Its presence could add up to another 110 spin-off jobs, the company says. Even after mining production stops, the operation will keep on some workers to restore the groundwater and shut down equipment. In years 10 through 14, the mine will need 15 employees for decommissioning, according to Powertech. And there is also the money. Over its lifespan, the mine will generate nearly $20 million in tax revenue, as well as royalty payments to landowners, according to the report. But Mark Hollenbeck, project manager for Powertech, has said he hopes the mine can last even longer. The company in 2007 secured uranium leases to the south of Edgemont. And one of Powertech's Wyoming sites, known as Dewey Terrace, is just an extension of Dewey-Burdock west across the nearby state line. That job creation for such a sparsely populated region are noteworthy, and that appeals to Ben Reutter, who ranches about 10 miles south of the proposed mining site. While moving cattle in a pasture last week, Reutter said he is in favor of the mine despite the continued protests by opponents. "It's going to bring jobs to the area and right now we need that more than anything," said Reutter. The mine wouldn't just bring jobs. It would restore the pride of a town long-known as being the industrial hub of the southern Black Hills. That distinction began in the late 1800s when the railroad came through. But it took off during World War II with the Black Hills Ordnance Depot. In its 25 years of operation, the military storage depot housed chemical weapons including sarin and mustard gasses. During the war, it housed 400 Italian prisoners, and locals were employed to watch over them. A town sprung up around the depot, named after the shape of the storage bunkers: Igloo. Eberle remembers when depot workers arrived without having housing yet in Igloo. "There were so many people here, and before they got houses built at the ordnance depot [they were] staying in people's yards and in the park," Eberle said. The depot closed in 1967, and the city of Edgemont later bought the land and transferred it to the U.S. Forest Service. While it is now used as grazing land for livestock, a private study stated that the land is too dangerous to be lived on or farmed, because of the fallout from chemical weapons and munitions, according to state records. The site is still being investigated to see whether a more extensive clean-up is required, according to the state Department of Environment and Natural Resources. By the time Edgemont lost the depot, local uranium mines had already been operating for a decade. With its uranium processing mill right downtown, Edgemont provided a hub to open-pit uranium mines across southwestern South Dakota and northeastern Wyoming. The mill, which could process up to 500 tons of uranium ore daily, closed in 1972. In 1984, South Dakota voters across the state rejected a ballot measure that would have allowed nuclear waste to be stored at the shuttered ordnance depot. The shut-out continued in the late 1980s, with a plan to build a landfill to store imported garbage. The state legislature — and the state Board of Minerals and Environment — approved the project. But in a 1991 statewide referendum, voters across the state rejected that project. After unsuccessful attempts to reopen it, the mill was decommissioned in 1986. Over three years, clean-up crews removed 4 million tons of contaminated soil, uranium tailings, debris and building equipment. Eberle said people used to kid about glowing in the dark because of the uranium. Others don't take that joke lightly. Susan Henderson, who ranches near the proposed mine site, has been an outspoken opponent of the project. She worries the mine's use of water to recover uranium will deplete or contaminate the well water she depends on to run her 8,000-acre ranch. 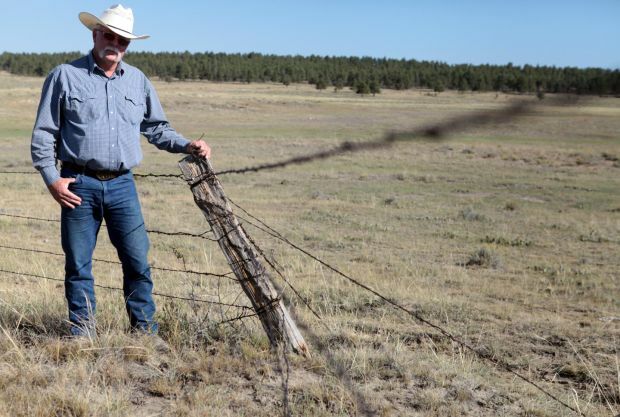 Dayton Hyde, owner of the Black Hills Wild Horse Sanctuary, worries contaminated groundwater from the mine site will eventually flow the 20 miles to his 13,000-acre property. Powertech plans to use water to extract uranium from the Inyan Kara aquifer, the same one Hyde uses to water his 600 horses. "The Inyan Kara flows right under this place; it's the only water we have," Hyde said one day as he sat in the ranch's driveway in his pickup. In Hyde's 25 years here, he says, there has only been two years that had enough rainwater where the ranch didn't have to use its well. "Every bit of water is precious, and we want to treat it with respect," he said. "Everybody agrees that the wars of the future here will be water wars." And opponents like Hyde worry that if approved, Dewey-Burdock could usher in the mining of uranium closer to population centers along the eastern and northern Black Hills where other uranium deposits are known to exist. But Eberle said she believes Powertech — and its newer, safer version of uranium extraction known as in situ mining — will run a safe operation. After all, the company has been winding through the complex, multi-layered permitting process for years. "It's been three years, four years that they've been jumping through all the hoops to do things right," Eberle said. "I trust them." And if that happens, maybe Edgemont can stop shrinking and start growing. 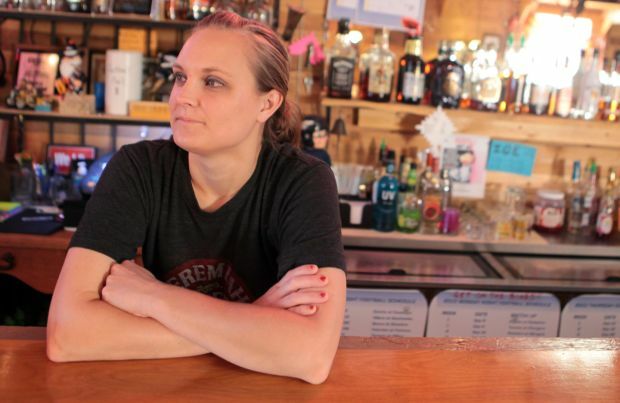 "I liked our town when it was about 1,000 people," she said. Christina Heisler, waitress at the Hat Creek Grill on Main Street in Edgemont, said she has mixed feelings about the project. "The environmental issues don't worry me at all," she said. "They regulate that well so that if something would happen, they would shut things down right away." But Heisler worries that even the uranium mining proposal has a fixed life span. "We are going to get all these jobs and all this money and families moving in," she said. "But in 15 years, that's going to be all gone again and then what's going to happen to the town?"